Mobile is 32' High and 12' wide and 5' deep. 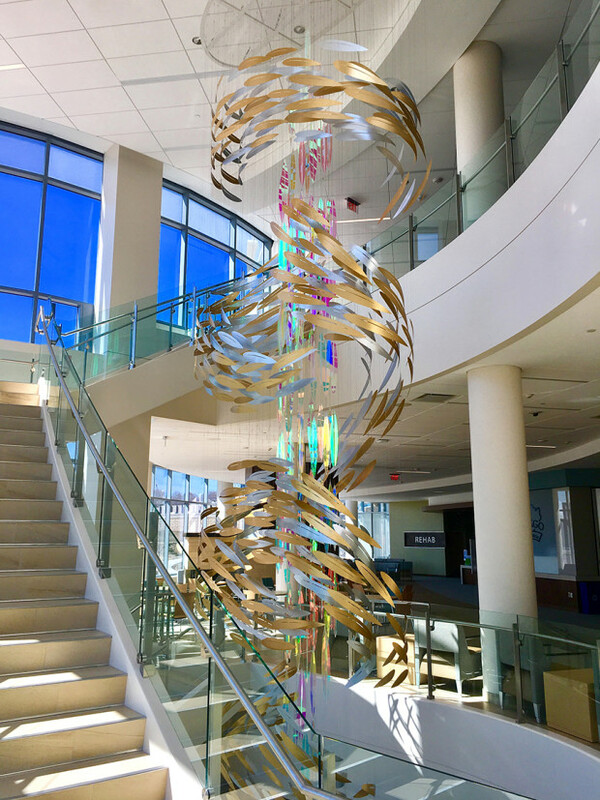 The building is a neuroscience research and care center so I wanted the sculpture to be a metaphor for the way a thought travels through neural pathways. 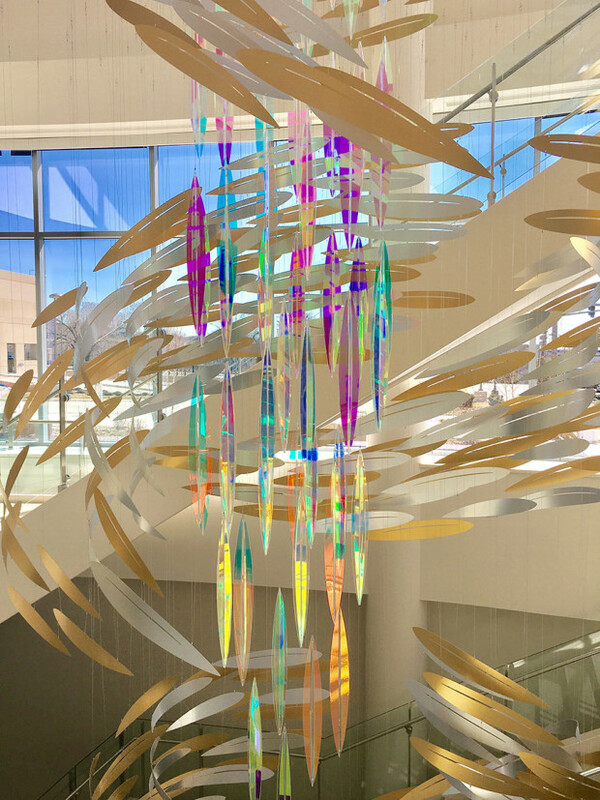 Because of my interest in neuroscience, it was very important to me that the sculpture reflected the latest research.